AS ways to bring a home campaign to a close go, this was about as uneventful as it comes for Rangers fans. But they once again showed their terrific loyalty to their club as they turned out in great numbers to show their appreciation to the Light Blues squad for its efforts this term. 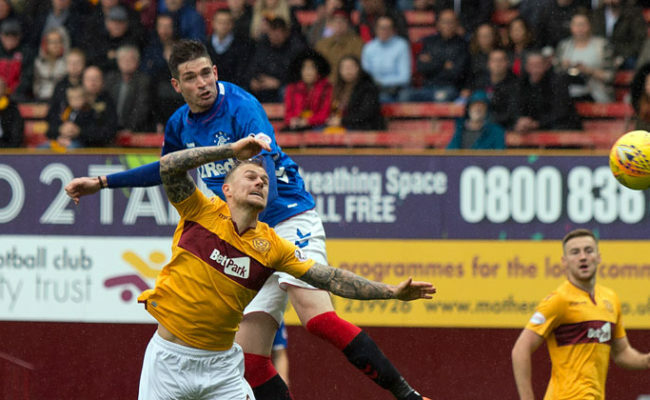 This season won’t go down as one of the most memorable one for the way things panned out for Gers on the park. It will certainly live long in the minds of those with the Ibrox outfit close to their hearts though for how the last three months have gone in the administration period. With Bill Miller now the preferred bidder for the club, the recovery process could be just days away from starting in earnest. It is unclear exactly what the future holds for Ally McCoist and the players he has had at his disposal in his first year as manager. Whatever happens, the supporters showed they’ll be there for the ride as they gave good backing throughout this contest once again and stayed behind after to show their appreciation. 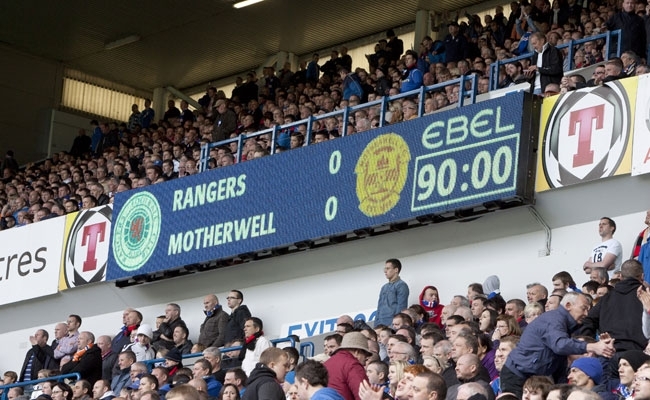 In a way, it was fitting an uninspiring match should bring the curtain down on on-field events at Ibrox for another term. But the rousing reception the playing staff received afterwards did plenty to suggest there will be many more enjoyable moments in the future if they’ve anything to do with it. 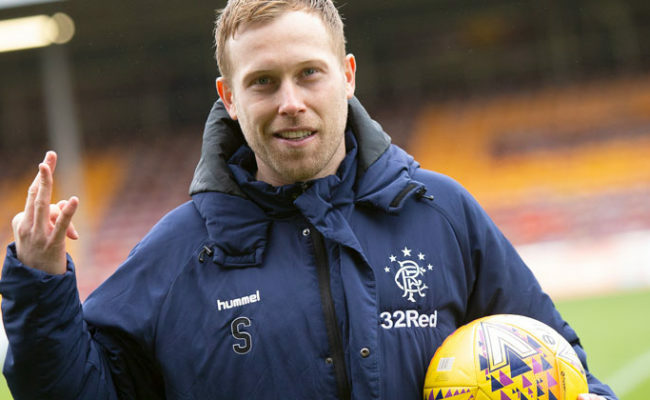 Following the comprehensive manner in which Gers beat Dundee United in midweek, it was no great surprise the one change Ally McCoist made to his side was enforced. And having made a full recovery from the knock which stopped him from starting against the Arabs, Lee McCulloch was a straight replacement for Algerian forward Salim Kerkar. 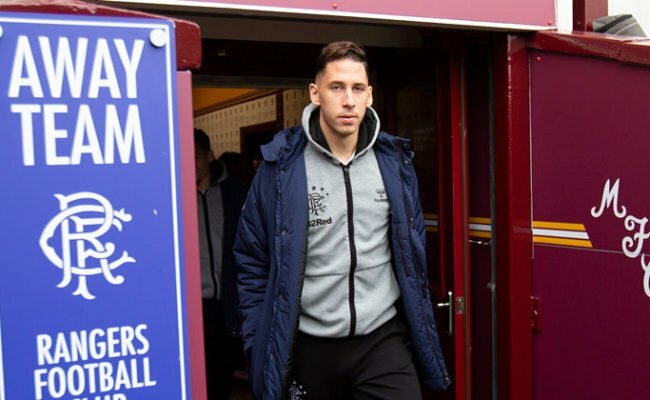 It was Motherwell who had the first chance through Henrik Ojamaa but his final effort was weak and straight at Allan McGregor. 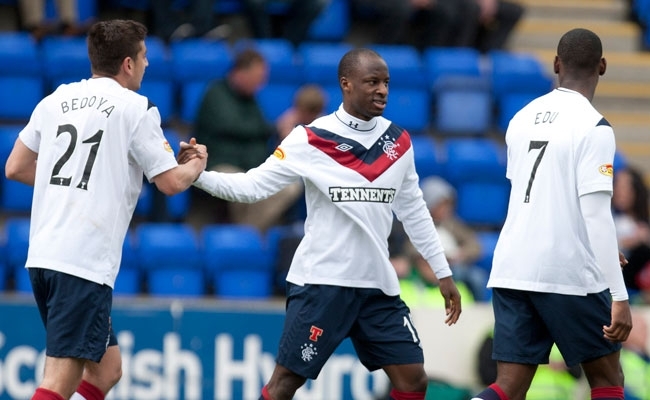 Rangers replied instantly through the livewire Sone Aluko, whose twisting and turning eventually set up McCulloch. Having scored a late winner against his old club in March, the big utility player hit the target again but Tom Hateley got in the way to block. 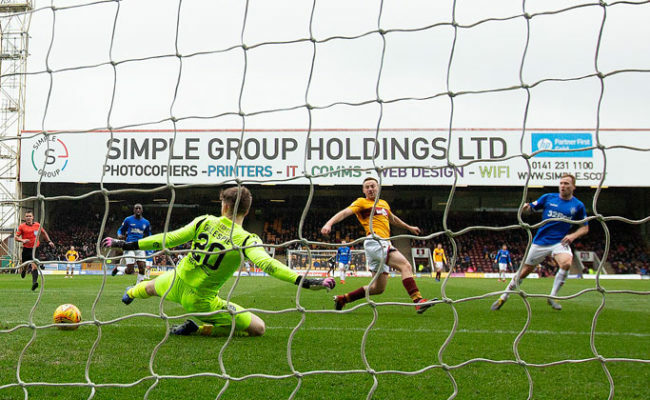 Undeterred, Gers came forward through Aluko once more with the unlikely Kyle Bartley sending a curler towards goal before it arced just over the upright. Rhys McCabe was heavily involved in a lot of the good things the hosts did in the early stages as he teamed up with Jamie Ness and Maurice Edu in central midfield again. But his left-footed half volley was always screwing too high and while Aluko was denied by Darren Randolph after good work too. For all that, Well really should have taken a lead on 16 minutes when Ojamaa broke the offside trap then rounded McGregor. But with Bartley and Carlos Bocanegra doing well to get back on the line, the striker tried to cut back instead and failed to find a team-mate. In truth, the rest of the first half was a virtual non-event, with both sides taking turns to enjoy possession without really penetrating. And as one wayward pass followed another, the match took on the sort of real end-of-season feel you’d expect in an encounter between two teams with nothing substantial to play for. The sides emerged unchanged for the restart and again it took time for anything of great note to happen. Aluko tried to spark the game into life with a surging run from midfield but the end result was a tame Steven Whittaker shot that Randolph had no trouble holding. Motherwell had a go too through Keith Lesley but McGregor’s positioning was every bit as good as his opposite number’s and he blocked the midfielder. McCulloch did manage to beat Randolph moments later but his glancing header from a Whittaker centre sneaked past the far post. The pedestrian rate at which the match was passing arguably suited the away side more and they took advantage of a lapse in concentration to burst forward down the right. Chris Humphrey bolted clear and cut back but good anticipation from substitute Ross Perry saw him coolly intercept. Rangers replied immediately as Wallace then made inroad down the left and got into the box, only for Randolph to make himself big and save. Chances were beginning to come up at each end and Well went close again through Tom Hateley but he was a yard too high from 12 yards. Indeed, McCoist acknowledged it was the Steelmen who were looking more likely to break the deadlock and made a double change. On came Andrew Little and Alejandro Bedoya for McCabe and Ness and straight away, the alterations almost paid off as the former won a corner against the odds. Bocanegra got on the end of it when it came in from Aluko but having done so well seconds earlier, Little then blocked it himself on the line before Edu’s rebound was held. As time ticked down, play reverted back to the slower pace of before and it seemed both sides were content to settle for a point and it finished 0-0.